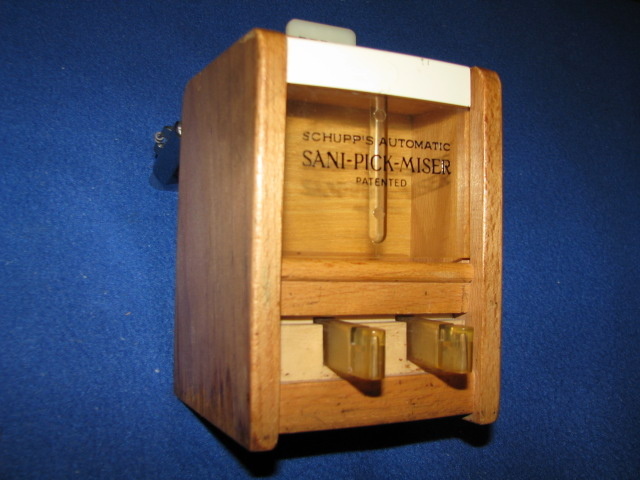 This is a Vintage "SCHUPP'S AUTOMATIC SANI-PICK- MISER"
Dispenser. 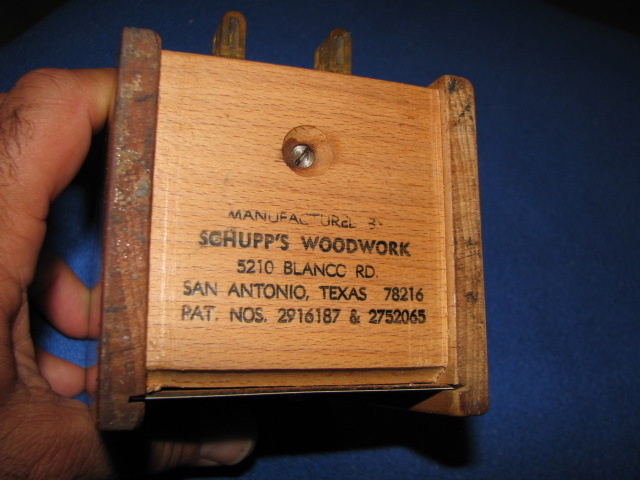 It is made of wood and plastic. Sides, bottom and top are wood, back is plastic. Front is plastic and wood. 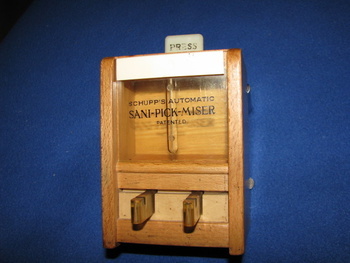 When top is pushed down it will dispense one tooth-pick. Bottom is marked with Manufacturer info. as seen in photo. I am looking for this exact toothpick dispenser!! !